The Chief had won his battle with amnesia; he had completely forgotten the accident that had left him stranded and starving in orbit around a small asteroid. He refused to remember how his recklessness had caused the loss of his ship, the deaths of his shipmates, and a growing hunger that had made him dream of cannibalism. Months after his rescue, he learned of a survey ship that was in trouble at the edge of the explored galaxy. The ship had been exploring a sunny, park-like planet when it suddenly started sending bizarre reports of an unexplained darkness, and then abruptly stopped sending reports three days after landing. The Chief's therapists not-so-tactfully suggested that he might want to join the rescue crew that was being rushed to help. 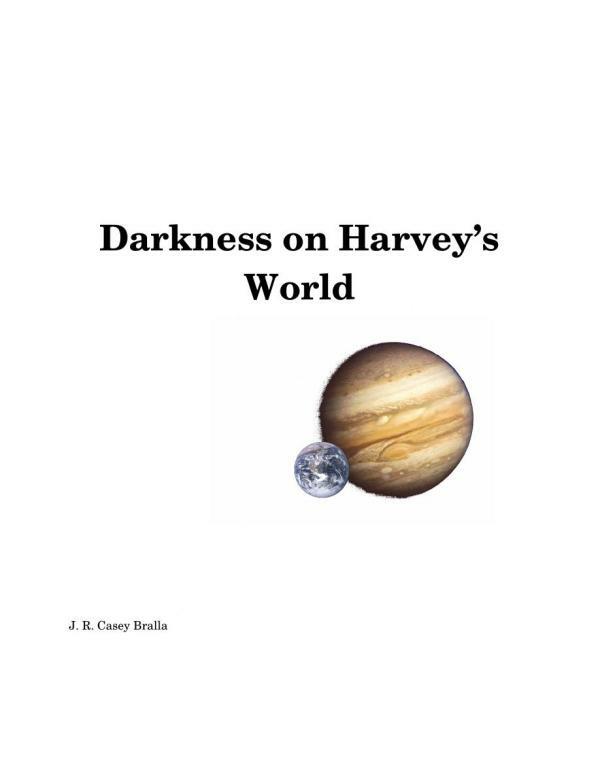 Harvey's World had seemed like a paradise, perfect for colonization. Its broad rolling grasslands were warmed by gentle breezes and blanketed with docile herbivores. But as the Chief neared Harvey's World and began to receive automated telemetry from the stricken ship, he learned that only four of the twenty-four crew members were still alive... barely. The survivors' medical telemetry made no sense, but their final log entries made even less sense. What happened to the survey colony? What was the darkness that enveloped the sunny green paradise? Can the Chief and the rescue team save the remaining survivors without succumbing to whatever caused the disaster? Harvey's World looked gorgeous and safe, an ideal colony planet. But something had decimated that first exploratory ship and its crew within three days. The first rule of space rescue is "Don't Die Trying". Download a pdf of the complete story.